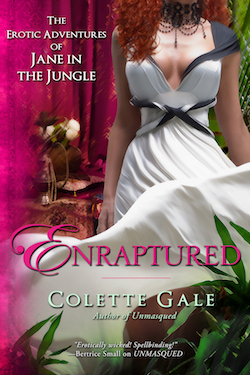 Jane finds herself the object of obsession of the Queen of Amazonia,enslaved by her with no opportunity for escape. When her mistress’s concubine Akenov makes an unscheduled appearance, Jane is caughtup in a whirlwind of eroticism. And when her beloved Zaren makes an appearance … things become even more dark and dangerous.